Islamic Jihad official says the organization plans to respond to Israeli blowing up of terror tunnel. Khader Habib, a senior Islamic Jihad operative in Gaza, said on Thursday that his organization reserved the "right" to respond to the "crime" committed by the "enemy" recently, a reference to Israel blowing up a terror tunnel which led from Gaza into Israel and in the process killing 17 terrorists, most of them from the Islamic Jihad. In an interview with the Palestinian Arab news website Ma'an, Habib said that the Islamic Jihad's response to the Israeli "crime" would come in a timely manner and would be determined by the Al-Quds Brigades, the Islamic Jihad's military/terrorist wing. Habib noted that the response to the tunnel explosion would be coordinated with all the Palestinian resistance organizations. In this context, he stressed that there is good cooperation and coordination between Islamic Jihad and Hamas in a way that serves the national interest. He claimed there is no contradiction between the Palestinian interest and the weapons of the resistance organizations that are intended to protect the Palestinian people. Habib added that Iran supports Islamic Jihad in the moral, political and material spheres, and called on the Arab and Islamic countries to follow Iran's path and help the Palestinian struggle. 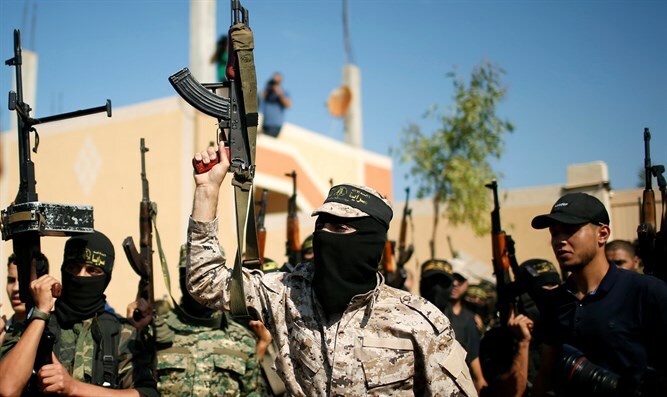 The Islamic Jihad has been said to be on “high alert” in preparation for a possible Israeli attack on Gaza. The Coordinator of Government Activities in the Territories (COGAT), Yoav Mordechai, warned the terrorist organizations in Gaza that Israel will respond to any act of retaliation for the destruction of the terror tunnel. Israel has deployed Iron Dome batteries in several locations in the center of the country, as part of preparations for the possible response of terrorist organizations to the destruction of the tunnel. In addition, the IDF has stepped up its forces near the border fence with Gaza in order to deal quickly with any attempts by Islamic Jihad to exact revenge.